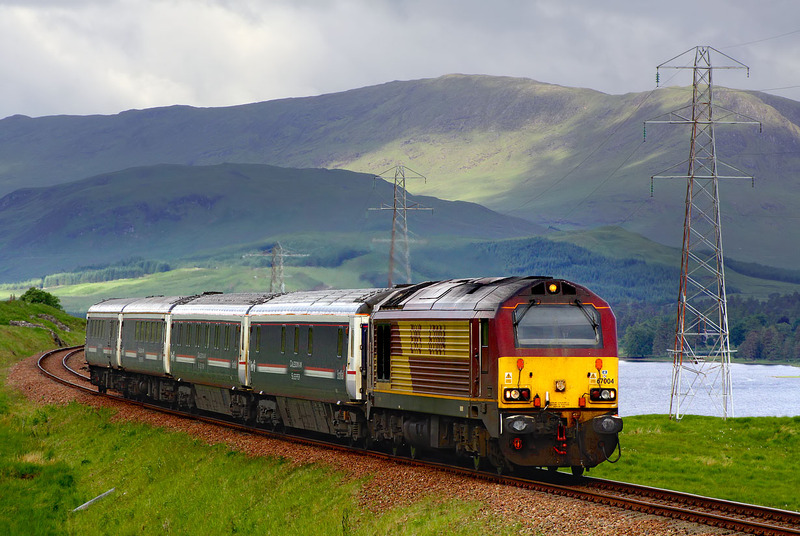 67004 climbs past Achallader on 24 June 2013 with the 1Y11 04:50 Edinburgh to Fort William ScotRail sleeper. Hardly worth the long walk from the car, especially considering that the sun decided to stay behind the clouds at the appropriate time, and certainly no substitute for the sadly missed Class 37s. Loch Tulla is in the background.